12 5/8 x 10 in. oil on canvas, 12 3/8 x 17 1/8 in. 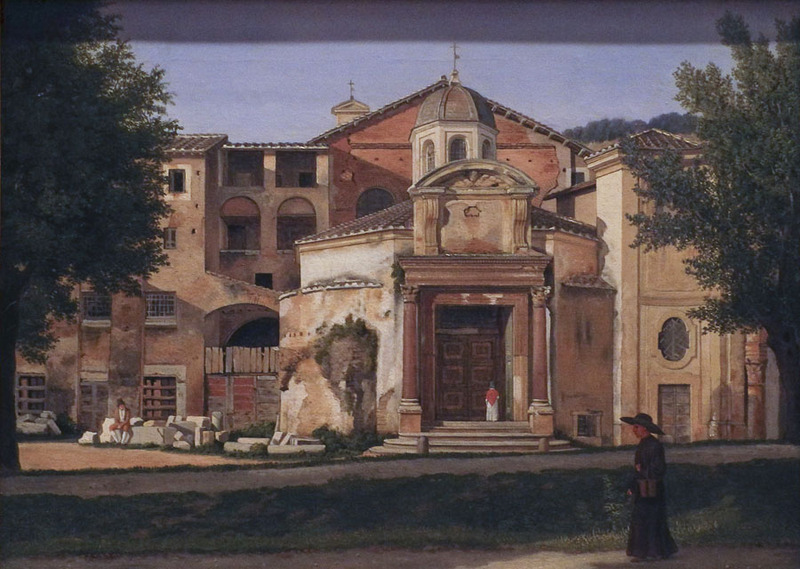 ....as was Eckersberg. 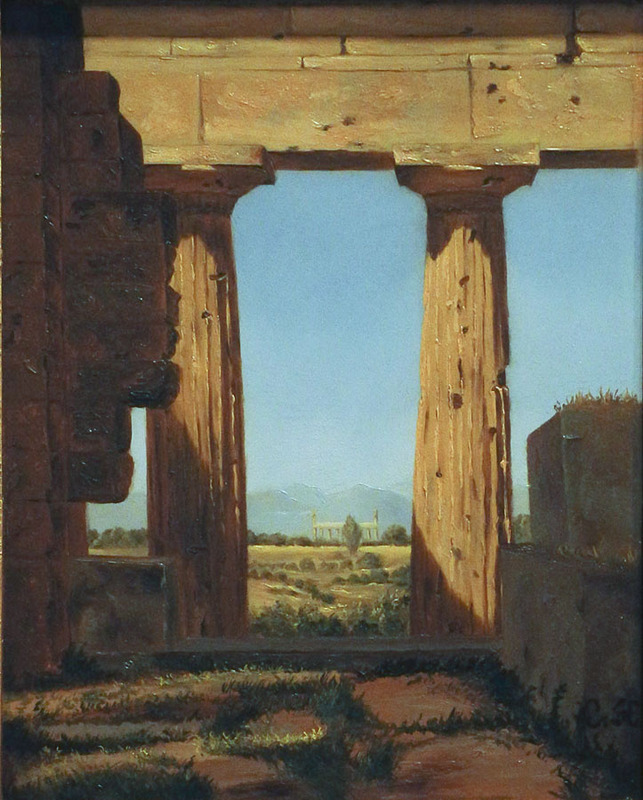 Hansen captures the golden southern light, while Eckersberg has a cooler northern eye. Forms are crisp, and also rich; a minimum of brush strokes depict variations of color and surface with careful attention. *a note: because I have a preference to use my own photos whenever possible for blog posts, these images have a band of shadow across their tops, cast by the paintings' frames. oil on paper, laid down on cardboard, 10 x 14 7/8 in. oil on canvas, 17 x 13 1/4 in. 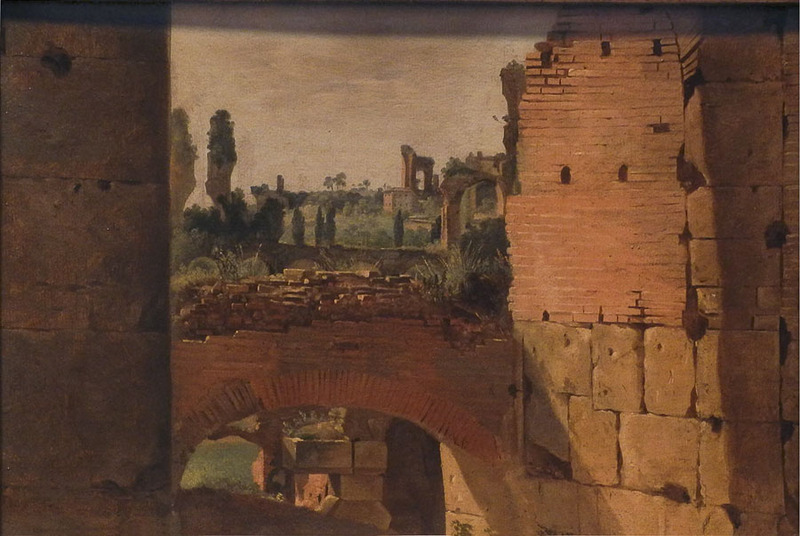 There is a romantic interest in ruins, but the approach is straightforwardly descriptive and a warm light suffuses all. oil on paper, laid down on Masonite, 9 7/8 x 6 1/4 in. One thing I love about these small paintings is how the artists are able to achieve a grand sense of scale in a small size. 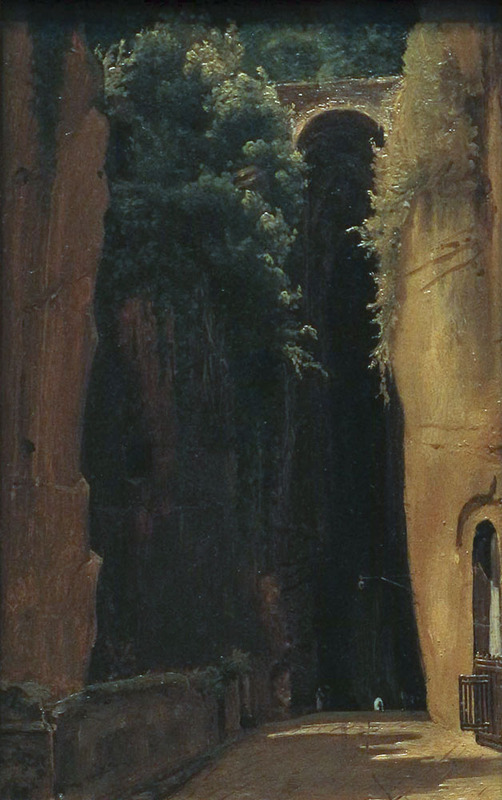 The tiny figures, the small speck of a lighted opening, are dwarfed by the soaring walls of the grotto. 6 1/8 x 8 1/4 in. A soft interior light, straight lines under a curve, is contrasted with the simple bright opening. The rapid touch of this sketch is assured and vivid. 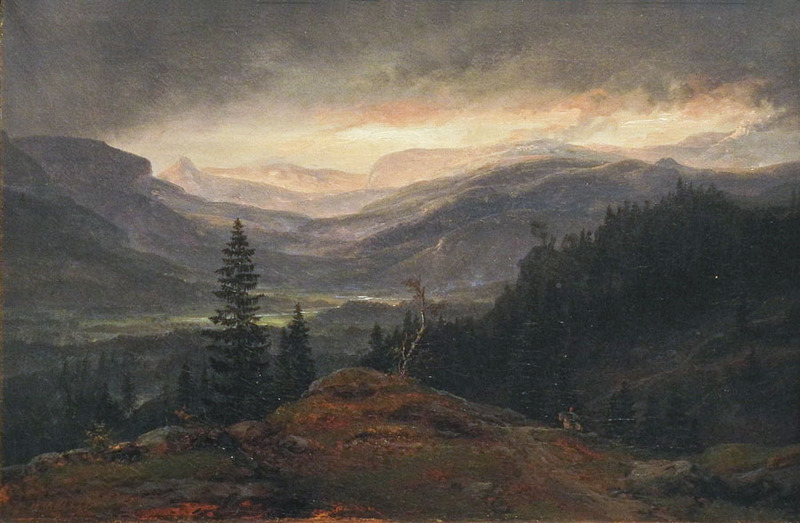 Johan Christian Dahl (Norwegian), View over Hallingdal, 1844; oil on canvas, 9 1/2 x 14 3/8 in. 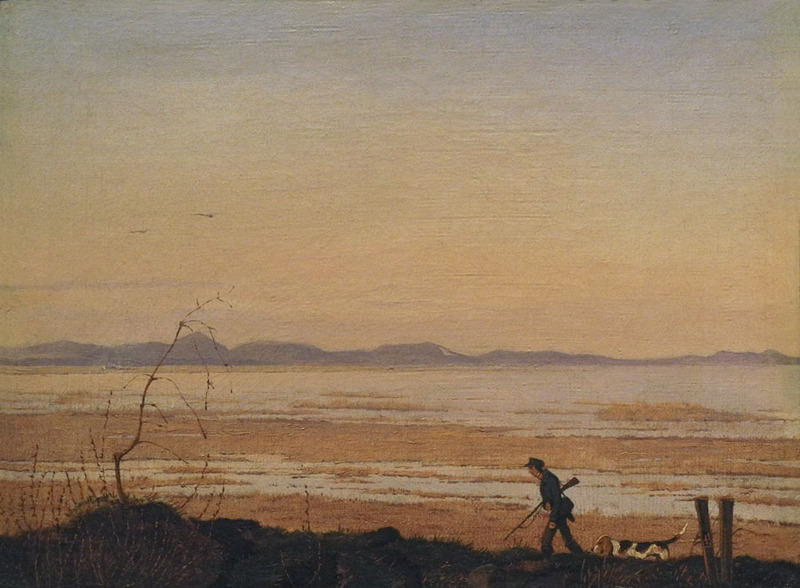 Dahl was an important Norwegian painter, an early romantic painter of landscape. 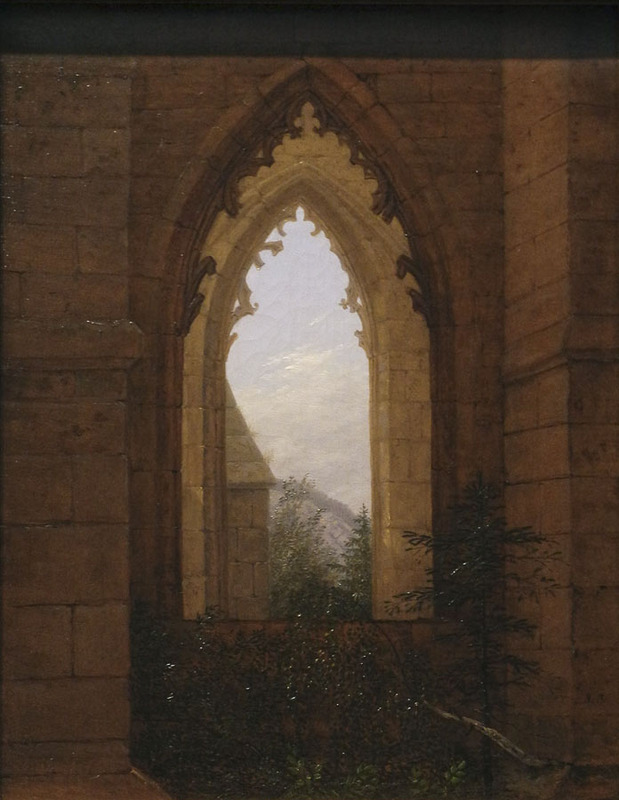 In this small study he depicted a wide vista of mountains and sky, and which give a sense of the spiritual within the vastness of space and light breaking through clouds. 4 3/4 x 6 7/8 in. 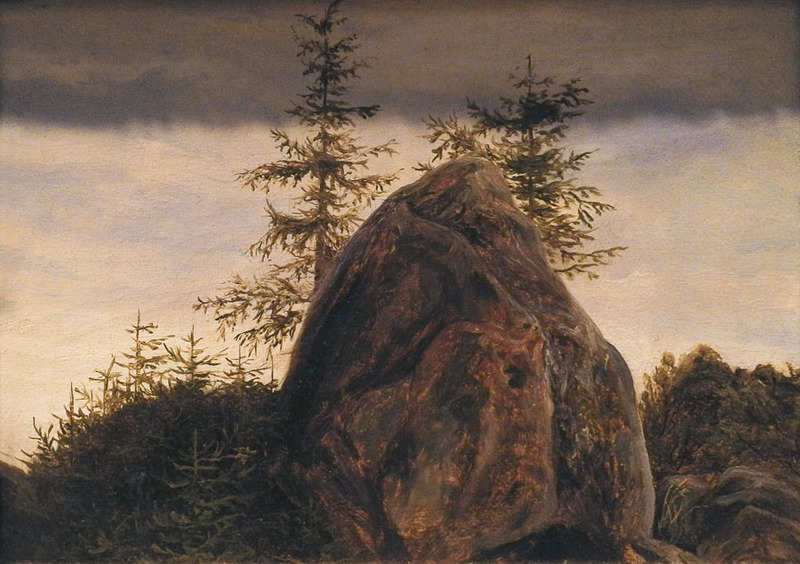 Some landscapes focused on the singular object, a mass of rock carefully described, a dominating presence. 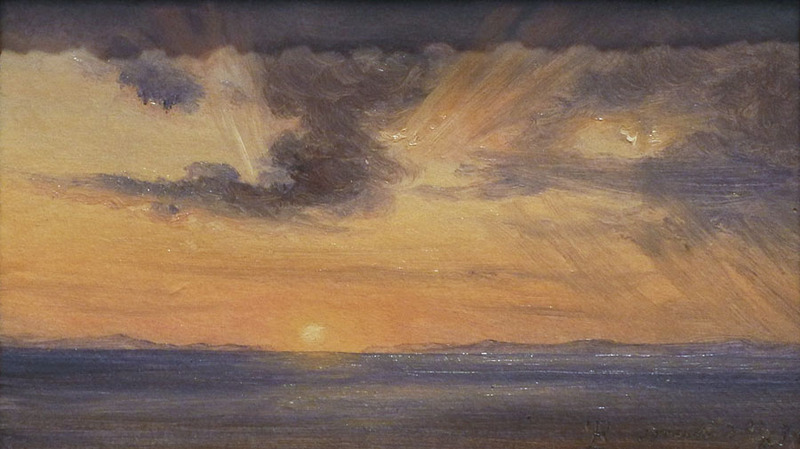 Thomas Fearnley, Sunset, Sorrento, 1834; oil on paper, laid down on card, 5 3/4 x 10 1/8 in. 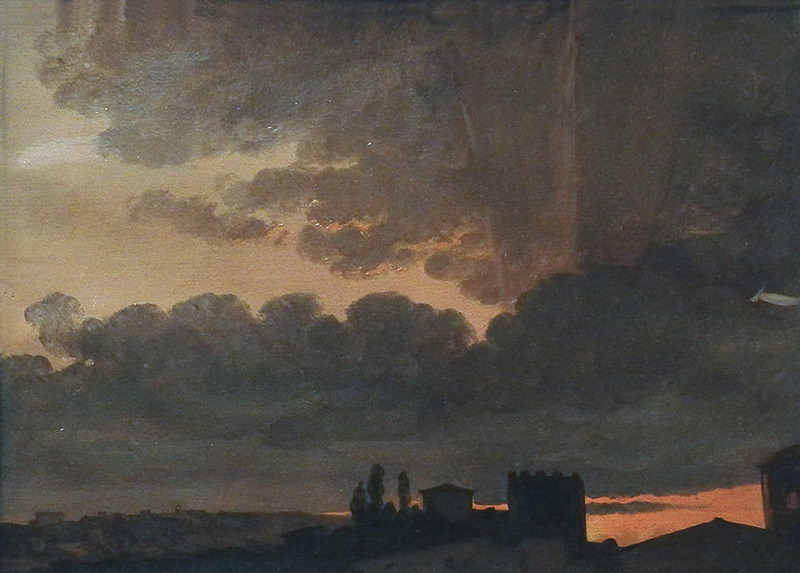 Simon Denis (Flemish), Sunset, Rome, ca. 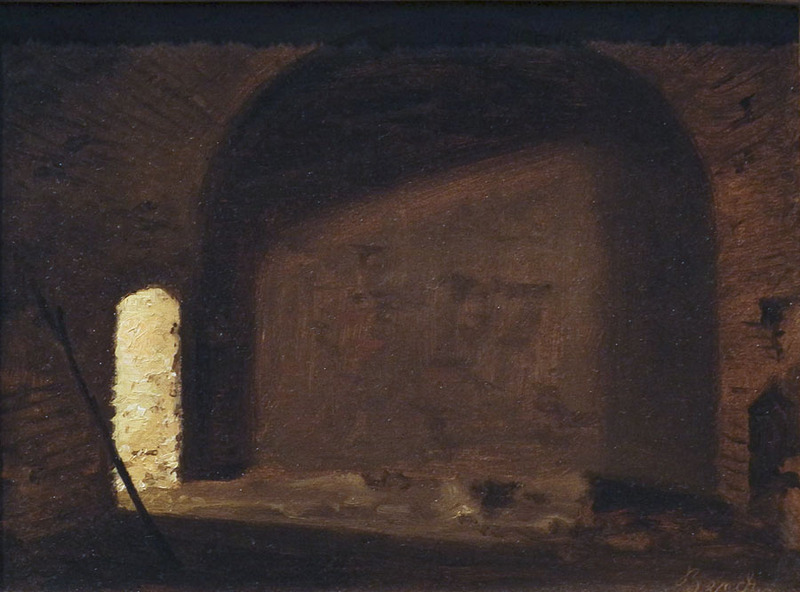 1789-1806; oil on paper, 8 1/4 x 10 3/8 in. The drama of sunsets has appealed to many artists. These two works are fresh and vivid representations. oil on canvas, 9 x 11 3/4 in. Here, another sunset, but this one placed within the dailyness of a human activity; its glow is lovely and subdued; the curve of the little bare tree balances the curve of the man walking with his gun. In all these small paintings I find a pleasure in looking at the world, and a joy in depicting it directly, without fuss. I am so glad that these paintings have found a home at the Met.